Lately, collaborative robots or popularly known as ‘cobots’ have been witnessing growth not only in large manufacturing firms but medium and small-sized firms as well. Ahlam Rais interacts with industry leaders and traces some of the key benefits of collaborative robots. Major companies in the manufacturing sector have gone ahead in full gear to automate their production lines as it leads to increased productivity and greater accuracy of the manufactured products. Despite the perks of this process, one can’t deny the fact that automation is a costly affair. In this case, how can medium and small-sized companies carry out their processes to achieve significant results? Collaborate robot or cobot is the answers to this. 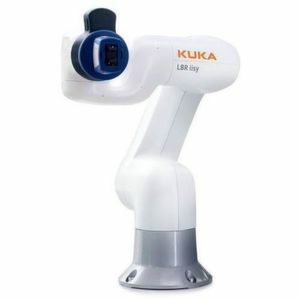 Lightweight, portable and occupies small footprint: Cobots are usually light in weight and this also makes them portable for carrying around the shop floor. Greg Buell, Product Manager – Collaborative Robots, Fanuc opines, “Collaborative robots are beneficial in areas where there is no available space to accommodate standard automated cell safe guarding (fencing or safety scanners), and when human interaction with the robots is a necessary part of the process.” Owing to their small size, they can easily be placed on any shop floor without occupying a massive footprint. This proves advantageous for medium and small-sized firms who are still exploring the new technology and do not intend to acquire specialised automation capability. 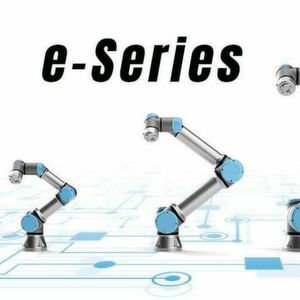 Quick to install and easy to set-up: Compared to traditional robots, cobots are much easy to set-up and install. According to IFR, in the past, systems integrators and internal robot experts were required to install, programme and operate industrial robots. Now, for simpler, stand-alone applications, workers with minimal robot training can now easily re-deploy the cobot to a new task. This is particularly important for manufacturers that operate short production runs and need to be able to quickly re-task the robot for a new run. Large manufacturing companies such as automotive manufacturers that have immensely automated their production lines for producing automobiles are also adopting cobots. The IFR mentions in a paper that the additional use of collaborative robots in large automotive factories offers the opportunity to support workers in completing final assembly tasks that are often the source of chronic back injuries. All in all, the use of cobots will be a win-win situation for manufacturers of all sizes. Event review Hannover Messe 2019: A smashing hit!